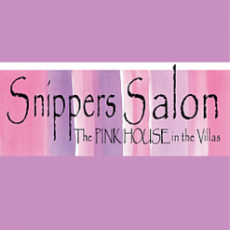 HOURS: Open Monday, Tuesday, Friday 9:00 a.m. - 5:00 p.m. Wednesday, Thursday 9:00 a.m. - 8:00 p.m. Saturday 9:00 a.m. - 4:00 p.m.
Snippers Salon has been serving the New Jersey Shore area for over 20 years. We specialize in everything from the latest styles to classic cuts and color. Facials to body treatments, waxing to pedicures, we do it all. Kids cuts for 12 years and under starting at $18. We cater to both appointments & walk-ins!